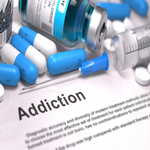 Until recently, patients being treated for addiction in inpatient substance use disorder centers in California had to be transported outside the facility for various medical services that could conceivably be dealt with in house. In October, Governor Jerry Brown signed Assembly Bill 848 which will allow California Department of Health Care Services (DHCS) licensed residential treatment programs to manage a patient's treatment inside the program, according to a California Society of Addiction Medicine (CSAM) news release. The signing of the bill has been praised by CSAM. Assembly Bill 848 is a huge step forward in the goal to provide the most “scientifically sound” methods of addiction treatment to patients. The bill will not only help patients, but will be beneficial to the communities where addicts and alcoholics reside, according to the report. When people seek help for addiction, and are admitted to a treatment facility, they find themselves in a safe place free from the triggers and stresses of the outside world. The bill’s approval will mean that patients no longer have to leave the safety of a treatment environment to attend doctors and therapists; it will also save facilities staff time and resources by no longer having to transport patients all over the city. The treatment of patients can now be managed safely under one roof. AB 679: Requires health care practitioner authorized to prescribe to apply to the Department of Justice for approval to access information contained in the CURES database regarding the controlled substance history of a patient under his or her care. AB 768: Prohibits the use or possession of smokeless tobacco products on the field of a baseball stadium during a professional baseball game or practice. AB 216: Prohibits the sale of devices that deliver non nicotine or nicotine vapor to minors.